1. The competition is open to all residents of South Africa except for any person who is a director, member, partner, employee, service provider, agent of, or consultant of Roots Buying Group (Pty) Ltd. This shall include their spouses, life partners, immediate family members, business partners and associates or any other person who directly controls or is controlled by Roots, the prize sponsor or any other person connected to or employed by any sponsor in the aforegoing capacities or relationships. 2. The competition is open to all South African residents with a green bar-coded ID only. 3. 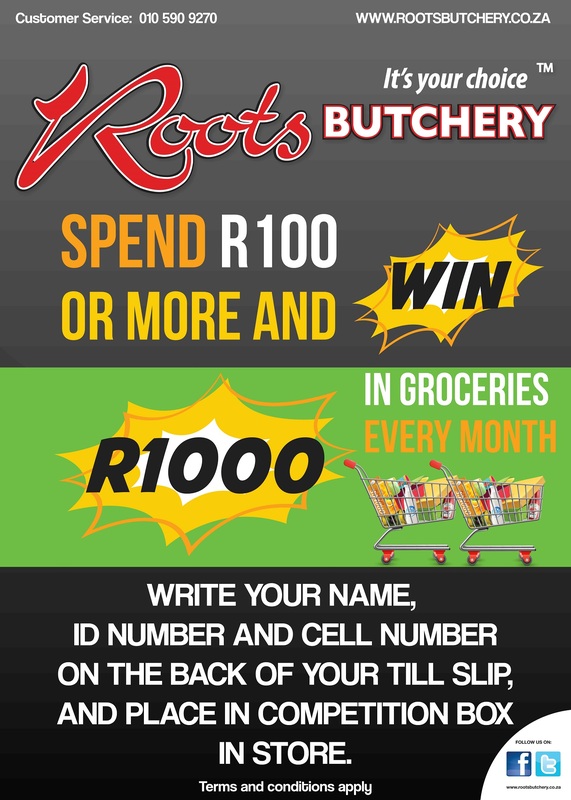 To enter the Groceries competition, entrants are required to buy Roots products to the value of at least R100.00 from participating Roots stores, and by writing their ID number, name and telephone number on the back of the till slip and placing it within an entry form box found at the participating store. 4. Any other competition which is not listed on our website and run by our stores, are independently administered by the store. As such terms and conditions for store-specific competitions need to be obtained by the relevant store. 5. Competition winners are drawn monthly from the entry box and contacted immediately after their name has been drawn from the entry box. This is provided their contact number has been provided legibly on their till slip and they answer the phone call. Should the call not be answered, we will have no choice but to draw another winner for the relevant month. The winner will be required to bring their ID document/card in store to redeem their prize. the competition or the prizes. 7. Prizes are not transferable and cannot be exchanged for cash. 9. Any winner accepting a prize also accepts any rights and obligations relating to that prize and undertakes to provide Roots with any reasonable information to enable it to adhere to its obligations under the Consumer Protection Act, or any other relevant legislation. Guardian accept the prize on their behalf. 12. Prizes exclude any form of transportation and/or delivery thereof to the prize winners’ places of residence and Roots shall not be liable for any travel, transport, accommodation, incidental or any other costs relating to the receipt and use of any prize. 13. 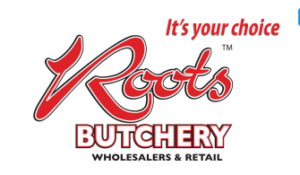 Roots, the prize sponsor and their associated companies, agencies and partners cannot be held responsible for any accident, injury, harm, loss or damage due to the acceptance, possession, ownership or use of any prize without limitation, whether caused directly or indirectly. The winners may be requested to enter into further indemnity agreement/s deemed appropriate by Roots or the prize sponsor, before taking ownership of any prize. which no fee will be payable to the prize winners by Roots. photographs shall remain the property of Roots, who reserve the right to use them in any manner whatsoever. way contrary to the spirit of this promotional competition may be banned from entry into any other Roots competition, for a period deemed appropriate by Roots management in consultation with the panel of judges/auditors. deemed necessary in their opinion and/or if circumstances arise outside of their control. No participant shall have recourse for such cancellation. own discretion. Such altered rules and prizes shall become effective immediately after being altered, or on such date as may be determined by Roots. No entrants shall have any recourse against Roots as a result of the alterations of the rules or prizes. automatically disqualified at Roots sole discretion. 21. Entry implies acceptance of these rules.